Ice & Snow, Take it Slow! 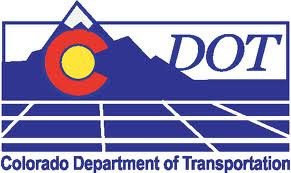 ADAMS, ARAPAHOE, CHEYENNE, DOUGLAS, ELBERT, KIT CARSON, & LINCOLN COUNTIES – With a snowstorm ready to hit the Front Range and areas east and south of Denver, Colorado Department of Transportation (CDOT) maintenance personnel are set to go on snow shift at 5 a.m. tomorrow. Lincoln-Area crews take care of 977 lane-miles (the combined lengths of each lane on every highway in the region), which includes 150 lane miles of Interstate 25, and 215 lane miles of Interstate 70. Other highways covered by the Lincoln Area are U.S. 36, 40, and 85, and state highways 18, 30, 79, 83, 86, and 105. During the winter of 2011/2012, Lincoln maintenance crews plowed 232,877 total miles. Crews also sprayed 507,312 gallons of de-icer, spread 9,706 tons of sand/salt and ice slicer and spent 370 hours in other snow removal-type activities. The John Maintenance Area oversees Cheyenne, Lincoln and Kit Carson counties, and a small portion of Elbert County. It has 45 maintenance workers and 39 trucks operating during snowstorms, four that apply de-icers. Other plow trucks carry sand/salt and Ice Slicer to provide traction. “It’s important that travelers know what conditions to expect before they head out. Preparing their vehicles for travel during adverse weather also is a good idea, not only for their own safety, but for the safety of others on the road as well,” added Tatkenhorst. John Maintenance Area crews oversee 2,100 lane-miles, which includes 220 lane miles of I-70 (between Agate and Kansas state line), U.S. 24, 40, 287 and 385, and state highways 59, 71, and 94. During the winter of 2011/2012, John maintenance crews plowed 125,060 total miles. Crews also sprayed 58,050 gallons of deicer, spread 6,224 tons of sand/salt and ice slicer and spent 234 hours in other snow removal-type activities. Lincoln and John area maintenance crews operate in two shifts during the winter season: 4 a.m. to 12:30 p.m. and 12 p.m. to 8:30 p.m. However, when inclement weather sets in, crews switch to 24-hour coverage of two12-hour shifts. Current road and weather conditions are available 24 hours a day, 7 days a week via reports and traffic cameras on the www.cotrip.org web site or by calling 511. Information also is available via text alerts and/or e-mails. Please visit www.coloradodot.info and click on the cell-phone icon in the upper right-hand corner. The link takes you to a list of subscription items. 2. Always keep the top half of your gas tank full. It can give you better traction and gives you a bigger margin of error if you get stuck and have to keep the engine running periodically to keep warm. 3. If you are stuck in a serious storm do not leave your car. Run the engine periodically and wait for help. 4. Carry blankets, water, a flashlight, a shovel, some nutrition bars or other food for sustenance. Winterize your vehicle's safety kit by including extra blankets, sand to help gain traction in the event you become stuck on ice or snow, jumper cables, an ice scraper and lock de-icer. 5. Remember that 4-wheel drive does not mean 4-wheel stop. A 4-wheel drive vehicle will not stop any better in icy conditions, especially if you have inadequate snow tires. 6. Be sure of your route. Don't go exploring in the back-country without some local knowledge, especially during a storm or when one is bearing down anywhere near your location. 7. Be sure you have good tires. The Colorado State Patrol recommends at least 1/8 of an inch tread depth. All season radials on a front-wheel-drive passenger vehicle are adequate for most situations; install them on all four tires. Four snow tires on most rear-wheel drive vehicles are usually adequate. Chain restrictions in Colorado are most often put into effect for commercial vehicles (semi-trailer trucks) and do not usually affect passenger vehicles. 8. In poor visibility or even whiteout conditions, don't drive faster than you can see ahead. High speeds in poor or no visibility can lead to large chain reaction accidents. Remember you can't see around mountain curves and corners either. 9. In addition to these winter driving tips, CDOT reminds all motorists to respect winter weather, conduct a pre-trip inspection of your vehicle, leave extra space between your automobile and others on the road, and never drink and drive. Of course, always buckle up! Magnesium Chloride in solutions up to 30 percent. - Effective for use down to 160 Fahrenheit pavement surface temperature.